If you want to make the most of East Lothian’s 40 miles of coastline and endless sandy beaches by hosting your special occasion outdoors, Hog Roast East Lothian can provide you with everything you need for your big day and give you the freedom to choose any scenic setting in the area. Our highly flexible catering team and multi-faceted cooking equipment are the dream combination when it comes to event catering in the area. We can cook for any number of guests in any location and provide a sumptuous range of contemporary dishes for everyone to savour whilst admiring the view. Hog Roast East Lothian’s versatility and experience make us the number one catering choice for any occasion. Our mastery of slow-roasted meat has established us as the best supplier of hog roasts in the area and our varied and inventive menus, which we are capable of preparing in any environment, make us an extremely crowd-pleasing and well-rounded catering company. We can provide food that caters for all tastes and diets, including alternative slow-roasted meats, tasty vegetarian dishes and gluten-free substitutes across all of our menus. For wedding receptions, corporate entertaining and any other more formal type of event, we offer stylish 3 course meals with canape options and can provide full table service, along with our own front of house staff to greet your guests with some of our delicious nibbles and a glass of fizz upon arrival. For less formal occasions, we can provide fresh and inviting buffets, leaving you and your guests free to help themselves as and when they please, with our friendly catering assistants on standby to lend a hand if required. Whatever menu choice or style of service you opt for, everything we provide is made using the finest locally-sourced ingredients and every dish is always freshly prepared at your venue. We select the very best homegrown produce for all of our dishes and make sure we treat our superior ingredients with the respect they deserve in the preparation and presentation of your chosen menu. 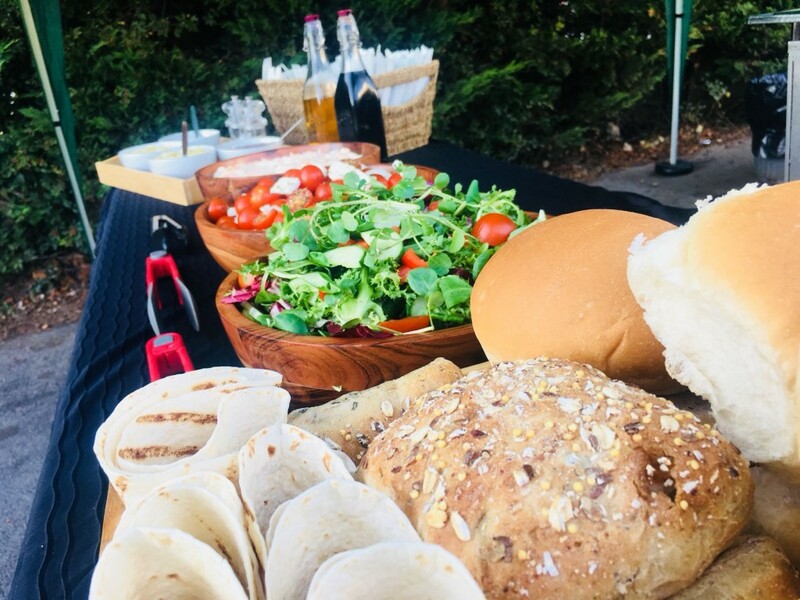 If being able to host your event outdoors in the sunniest part of Scotland, whilst also benefiting from an excellent standard of food, appeals to you, Hog Roast East Lothian can give you everything you want in terms of catering, service and flexibility.